The Colorado Railroad Museum is embarking on an ambitious spring project, and we hope you will want to be a part of it. Our beautiful Chicago, Burlington & Quincy Business Car No. 96 is about to get a freshening up as part of a much larger project that will include a cover to keep her out of the weather, and a viewing platform that will let our guests see inside the car without the heavy wear and tear that comes with thousands of feet and fingers walking through the car and touching the delicate artifacts housed within. To raise funds for this exciting project, we are seeking 96 gifts of $100 or more. Your help is not only welcome, but necessary - we simply cannot do it without you! If you love the CB&Q No. 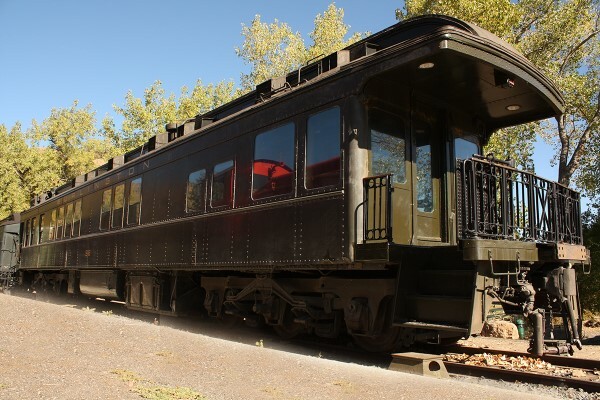 96, and want to be part of preserving this wonderful slice of Colorado history, please visit our website and make your gift today!